Twenty lawyers in Ontario and the U.S. have notified us that they received an email from the purported Maki (or Mako) Kennedy looking to retain them with regards to a collecting overdue payments resulting from a separation agreement. Thank you for your interest in my case. I would have loved to schedule an appointment to come over to your office for consultation but I am not currently in the states, I live in Japan while my ex husband Brian Kennedy who is a US Citizen lives in your jurisdiction. I and my ex husband fell in love during His UN deployment visit to Japan 1996 and got married 23rd of May, 1997, at Kumamoto Family Court. My ex husband Brian Kennedy is a medical practitioner for the United Nations. Due to my hearing problem (Disability) it is difficult to talk to you on phone, would have loved to discuss this matter on phone but I can read and write very well. If need be it to testify in the United States I will make myself available at that time. My ex husband and agreed under a separation agreement incorporated, merged into and made part of the court order for a settlement of Child Support, Spouse Support and Medical Support of $918,500.00 USD he has only paid $245,600.00 January 28th, 2013 but still owing $672,900.00 and the stipulated time for the completion of payment April 17th, 2013 has long elapsed. I am contacting your firm due to the fact that there is already an agreement in place and a court order. For your review I have attached document you will find my ID, in PDF the Court Order and Separation Agreement. I request your firm’s legal service to enforce the court order compelling him to remit balance owed to me. For my review I request your attorney-client retainer agreement and if the terms are acceptable I will sign so we can commence the process as soon as possible. Immediately I receive the retainer agreement I will Sign and return to your office. I received the Mako Kennedy email today, so it is still being sent out. Our office received a similar email. I received one yesterday and today. I have received a Mako Kennedy e-mail today. I am making an inquiry, please indicate if you practice in Domestic Relations, Family law, Child Support. I wish to file a contempt petition against my ex husband for breaching the court order with regards to the above mentioned case. If not your area of practice refer me to a family law attorney. We received this email on 23 April and 24 April 2014. We are a firm in Australia, so either it was sent to us by mistake or this scam isn’t confined to the United States. Received this email this week in our office as well. Located in North Carolina. I also received this email yesterday. Grand Rapids, MI. I received such an email this morning in N.C.
We received this scam 2 days ago in Sarasota, Florida. I received the same email today here in Los Angeles. I enjoy playing with them and then dropping them like a flat ball. Beware Legal Practitioners! I received the Mako Kennedy e-mail in Northbrook, IL. last week. Friday I received a purported cashier’s check drawn on the Hudson Valley Bank for $450,000.00. The check number amount was for $4.5 million dollars and the text was for $450.000.00. There were other red flags such as receiving the check from Canada, a return address on the envelope which is a vacant lot in Chicago and a poorly written letter from the supposed native American ex-husband physician. The letter was not signed. Thank you for your detective work warning us about these Internet predators. I received the Mako email today, 5.19.14. I am in Miami, Florida. Fort Lauderdale, FL. We were emailed in March 2014, and again yesterday …email read. Received the same email in Virginia on June 21, 2014. Received this email on July 17, 2014. 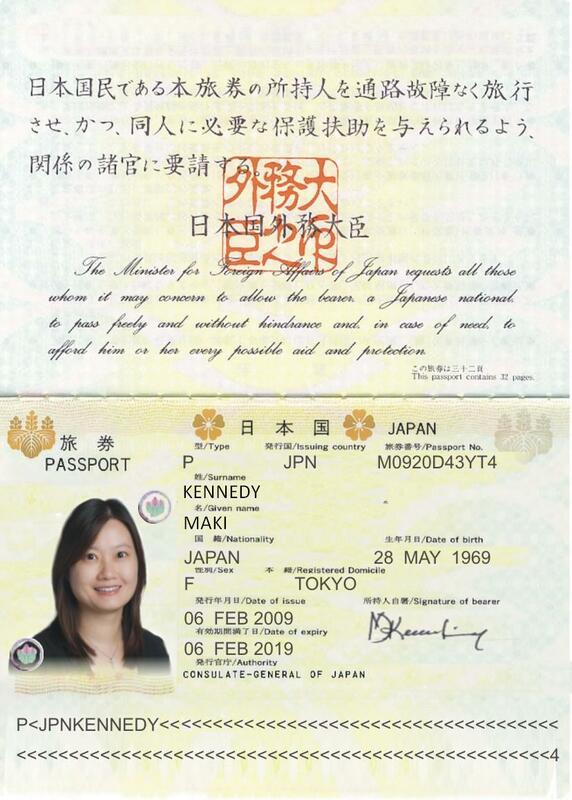 I received identical from “Mako Kennedy” on July 28, 2014. My reply that services would commenced only after retainer funds had cleared all international banking collection times, 14+ business days, resulted in receipt of her second detailed letter, with amounts of $918,000+-. Brad Woodworth, Portland, Oregon. This is the second time we have been contacted by her. Message read …. Same message received at our office here in Ontario, Canada on October 31/14. Received it last month. Didn’t fall for it though. Also, received similar scam from a Kanae Corporation (Keita Kaneko). Our last correspondence with this individual was Sept 2013. Even after signing a service contract agreement, we kept trying to make it clear that we were an investigative agency, not a law firm. Eventually, they stopped contacting us. However, more recently, we have been getting a new contact with the same story. We also received the Kanae Corp scam as well. Good luck. This scam is still active. We received the first email from Mako on September 15, 2015. I am a lawyer from Montreal. I just got this yesterday and replied. I was smelling something fishy. Thanks to your website, I will avoid problems with this and NOT pursue in that request. Here is the emails that we exchanged. Thank you for your interest in my case. I would have loved to schedule an appointment to come over to your office for consultation but i am not in Canada, i live in Japan while my ex husband Brian Kennedy is now based in Quebec, Canada. Myself and my ex husband agreed under a separation agreement for settlement of Child Support, Spouse Support and Medical Support of $918,500.00 USD he has only paid some part but still owing $672,900.00 and the stipulated time for the completion of payment April 17th, 2013 has long elapsed.And am going through a lot right now and need money for health challenges ,my hearing is fast deteriorating and money for the children up keep and health Care. So, i am in need of your service in collecting this money from him, since he now reside within your legal boundaries . Meanwhile,i have just inform him of my intention to retain your firm to collect the money from him and from his responds he seem very much afraid of litigation and he don’t want this to result to a court case that may land him in jail. so he is assuring me that he is ready to make some payment, so i advice that all funds should be directed to your office as that is the only way i can compel him to pay without any further delay. So,he has requested that i forward him the following information below from your firm to enable him issue a part payment to show his readiness to meet his obligation while the balance will be paid soonest. Upon receipt of the payment you shall deduct you hourly charges and any other legal fee applicable for this kind of service.Hope to hear from you ASAP with the information above so that i can forward to him and i could also send his information to you for record purpose. Attached is copies of the separation agreement and my ID for your file. If the defendant resides in the province of Quebec, yes i can handle a case like that. > I am Maki Kennedy in Japan ,I am making an inquiry about possible representation to enforce terms of my dissolution agreement with my Ex. husband who is now based in Canada. Please advise if you handle such case. Received the below today in Winnipeg, Manitoba. The scam is still going around. 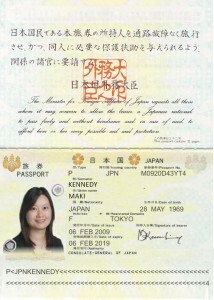 “I am Maki Kennedy in Japan ,I am making an inquiry about possible representation to enforce terms of my dissolution agreement with my former husband who is now based in Canada. Please advise if you handle such case. I juste received that email today….. Same as Kyla above, I have received this email today with the same text. They are definitely at it again. They first contacted me on April 30th. I doubt that they will contact me again, after I kept asking for Brian’s lawyer’s contact information. I heard from Maki today. Same scam, same attachments, same details. I have received these emails twice in the last two months through my attorney’s website. Fact is there is no jurisdiction to enforce these supposed orders anyway… so there is that. But she or whoever is persistent. Its ongoing. Received the email through my web site contact page. I am a Florida lawyer. When I get similar emails I first look up to see if the person’s name is on local docketing. Then I google it. It is never in docketing and as in this case when I googled it warnings came up. Then I send a copy to [email protected] I titled my email “Maki’s back in town” quoting Bertolt Brecht’s timeless song, Mack the Knife. The scam is still alive in 2017, under the name of MS Kennedy…same copy. The email was received through our firm’s website contact page. within your line of practice.